Want to Make a Quilt with 50,000 Friends? 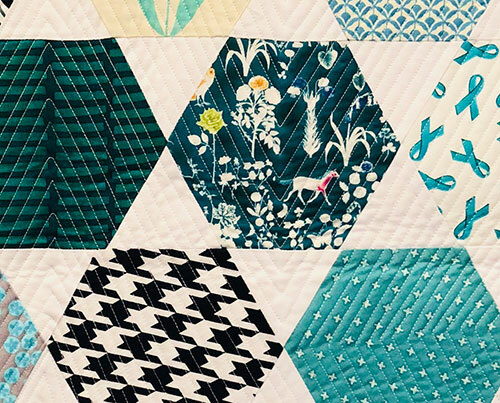 If you’re a quilter and you’re online, you’re likely aware of the recent kickoff of the annual Bonnie Hunter mystery quilt. 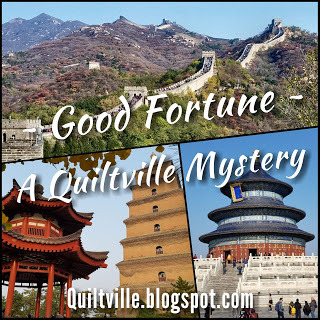 I always enjoy the Quiltville Mystery, even when I don’t participate. 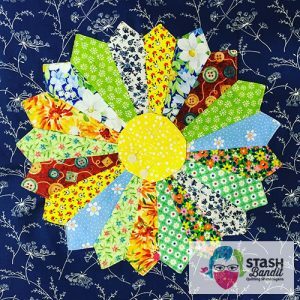 My exceptional longarm quilter said to me recently, “I think everything you do is modern.” I’d commented that I didn’t think of myself as a “modern” quilter, and her response gave me pause. 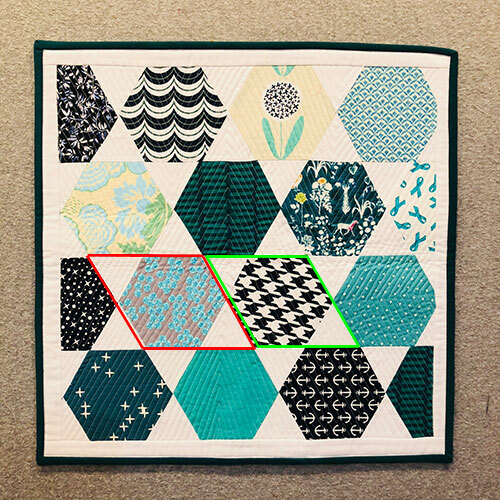 I’ve been (very happily) fielding inquiries from modern quilt guilds, and the truth is that some things I design and make lean toward the modern aesthetic, some are traditional, and some are hard to put into a category. Today I’m introducing Oh, Christmas Wreath! This design is decidedly modern: solid fabrics, negative space, clean and fresh. Oh, Christmas Wreath appears in the Nov/Dec issue of Quilty, on newsstands now. I hope you’ll grab it when you see it or order it online in paper or digital format. 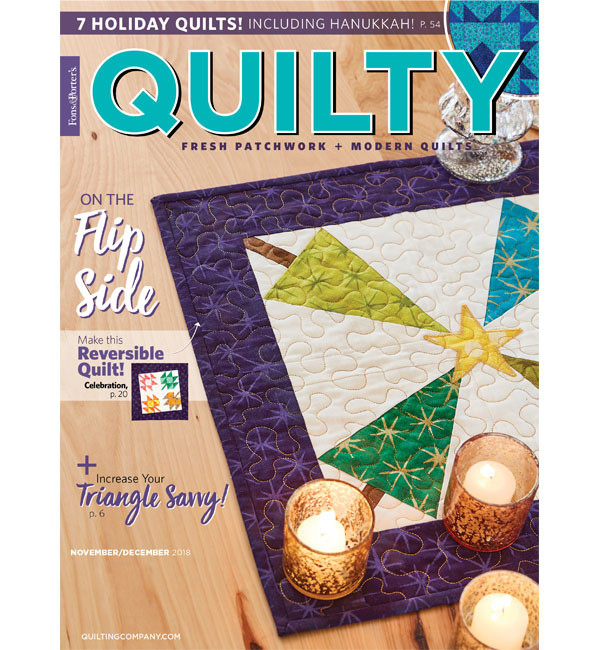 The Nov/Dec issue of Quilty magazine is on newsstands now, and I’m very excited to have two new quilt designs inside. 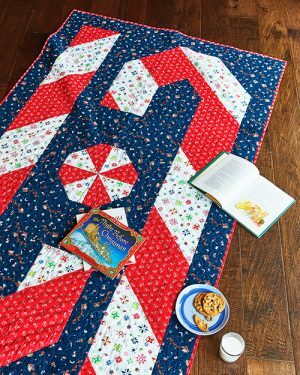 Ever since I started building the Jingle Bells Trunk Show to share with quilt guilds, I’ve been obsessed with making Christmas quilts. I’m constantly working on new ideas, and these two were a fit for Quilty. You may know that magazines work months in advance, so I actually pieced these in April and May for an early June deadline. For the past several years, I’ve signed up for the Teal Mini Swap. It’s a fundraiser hosted by my friend Beth Helfter of EvaPaige Quilt Designs to benefit the Ovarian Cancer Research Fund. 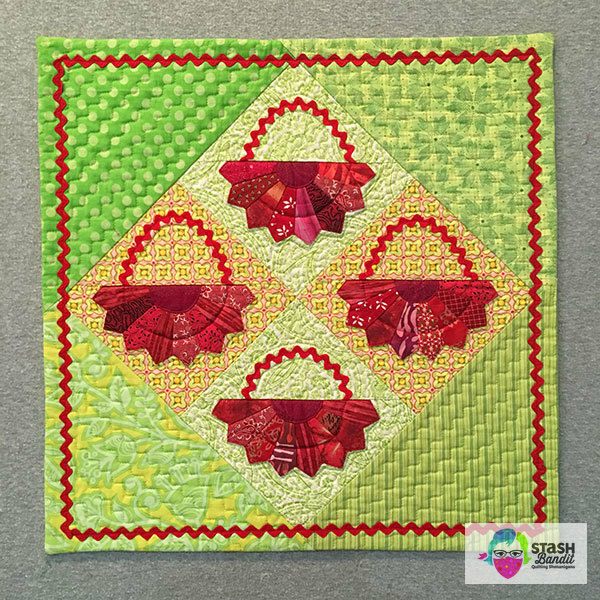 Today’s little quilt was made by Lorrie Langdon from Greenville, Mississippi. Lorrie was my swap partner, so the quilt came to be mine. I just love it! The hexagon sides are 2-1/2″, and it’s about 4-1/2″ from point to point. The quilt is 18″ x 18″. She used a nice variety of teals, navy blues and light fabrics. The thing to notice is how much the fabrics differ. When the piecing is repetitive, the fabric needs to do the work of holding a viewer’s interest. There are small geometrics, larger graphic prints, florals and solids. They all harmonize beautifully. Lorrie also used value to her advantage. There are very dark hexagons and very light hexagons, and quite a few in between. She’s letting the fabric do the work, and it’s working. The quilting adds another level of interest to this piece. Lorrie took her cues from the patchwork, but she changed direction enough to keep things lively. 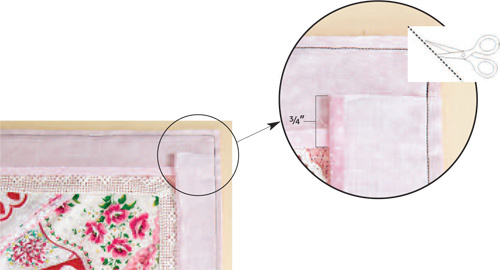 The lines of quilting are about 1/4″ apart, which takes a while even on a small project. 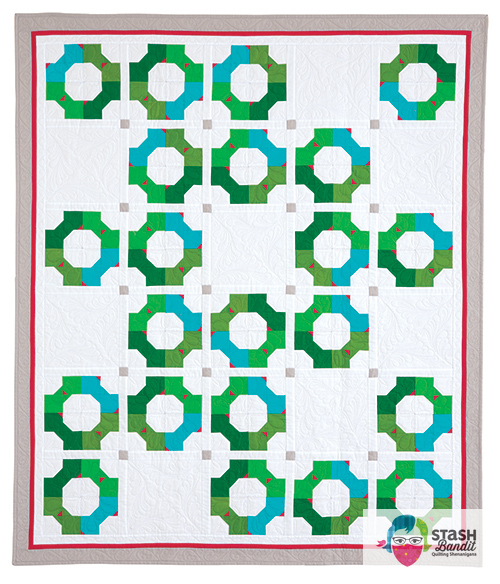 The quilting is an element that helps bring the bigger picture together. These shapes look complex, but they don’t have to be. Above I’ve drawn lines around each unit so you can see how it can be pieced. A 60º triangle is added to two opposite sides of a hexagon to make the unit. Then the units are joined into rows, and the rows are sewn together. You can create diagonal rows, above. Or you can create horizontal rows as I outlined here. Pretty nifty. Lori added a 1/2″ white border and a solid teal binding to finish things off. 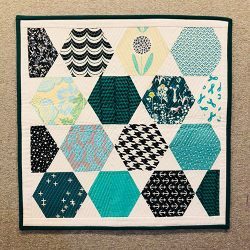 This is a very successful little quilt! 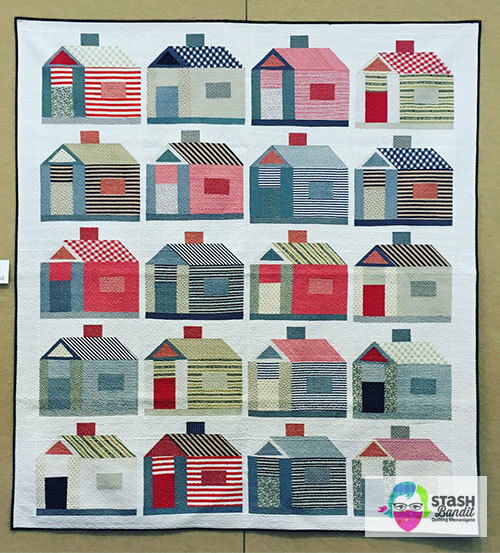 One Hundred Small Quilts is a trunk show available to quilt groups. 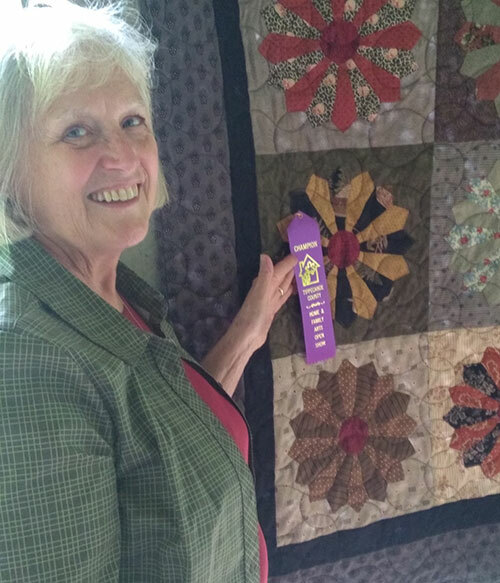 I bring about 120 small quilts that I’ve made and collected over more than 30 years. We go through them in about an hour, and there is so much to see! I’d love to share them with your group. Get in touch today and Let’s Talk Quilts! 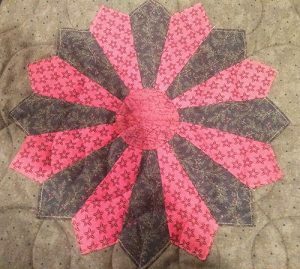 Several of my small Dresden Plate quilts have facing instead of binding. When I shared them during a recent program, people asked for instructions. 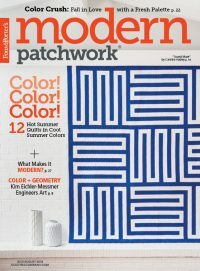 I wrote “Let’s Face It” for Quiltmaker in years past, so I got their permission to post that article here. I hope you’ll give it a try. It’s a great skill to have in your toolbox. Dresden Delight, designed and made by Diane Harris. This little quilt has a facing instead of a binding. Use my easy instructions below to give facing a try. 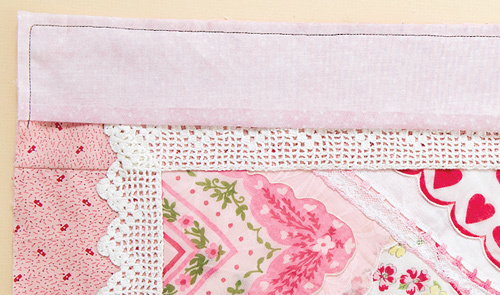 A useful alternative to binding a quilt is adding a facing. Binding adds a frame of sorts around the quilt’s edges. Facing comes in handy when you don’t want such a frame, and it’s fast and easy to do. 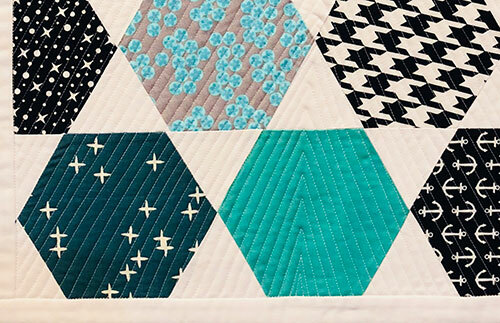 Follow these steps to add facing to any quilt. I used dark thread in some of the photographed samples for visibility. In reality, use matching thread. Layer and quilt as you normally would. Trim all the layers of the quilt even and square up if needed. On both strips, fold one long edge under ¼” and press. Place one strip right side down at each end of the quilt, matching the ends of the strips to the sides of the quilt as shown. Pin both strips at each end. With the quilt on the bottom (nearest the machine bed), sew both of the strips to the quilt with a ¼” seam allowance, beginning at one short end and turning the corner with one diagonal stitch as shown below. Turn the second corner in the same way and end the line of stitching as it began. Now lay facing strips right sides down on the quilt front sides. Trim the strips so the ends extend about ¾” past the folded edge of the top and bottom strips as shown below. Fold one long edge under ¼” on both strips and press. 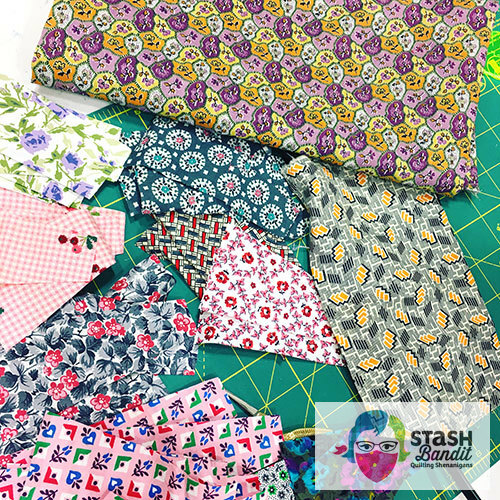 Sew the side facing strips to the quilt as shown with a ¼” seam allowance. Carefully trim the bulk from each corner. To make the facing lie flat, sew a line of sharpstitching, also called edgestitching: first, fold the side facing strip up as shown below. Beginning about 2½” from the corner, sew through all the seam allowances and the facing very close to the seam, ending about the same distance from the next corner. Repeat for all the sides. Turn the facing to the back of the quilt and gently push out the corners. Press the facing flat. 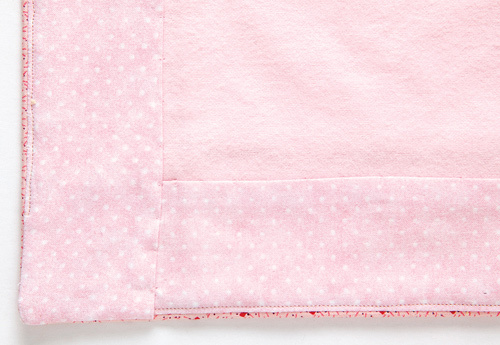 Sew the facing to the quilt back by hand with a blind stitch. As you can see, a quilt facing is similar to a garment facing, but it’s easier to do because there are no curves. 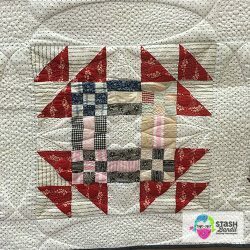 I use this technique on many small quilts and it’s really a nice way to finish. My thanks to Quiltmaker for giving permission to post “Let’s Face It.” When you see Quiltmaker on the newsstand, please pick it up! 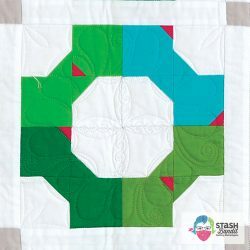 Visit quiltingcompany.com for lots of inspiration. Once the quilt came back to her, Mary and I talked on the phone. She had never made a Dresden Plate before the class. Her mother had made them but Mary didn’t care much for the old-time fabrics, and the thought of extensive handwork didn’t appeal to her either. I had a great group of students for a “Let’s Play Drezzup” workshop in Indiana earlier this summer. And I had a new experience with the GPS on my iPhone when it got me totally lost and I was very late for the class I was teaching. I was mortified but the quilters were so nice about it and our day together was terrific after that. You never know what kind of fabrics people will bring, but the surprises are often wonderful. 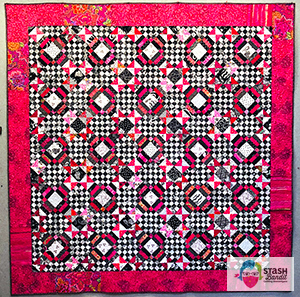 This quilter had fabrics from her mother’s stash! Aren’t those vintage prints amazing? 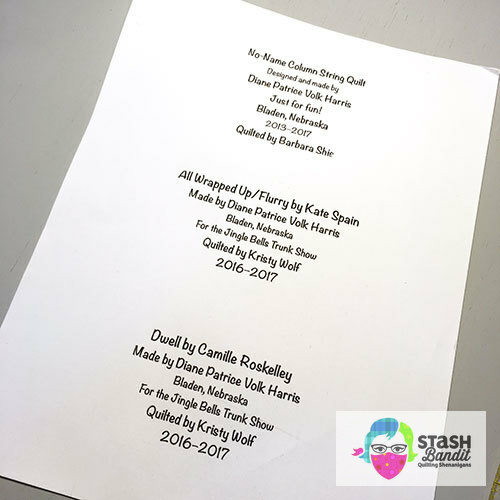 How to Make a Quilt Label and GIVEAWAY! Here’s an easy method to make a quilt label. It’s simple and effective. Maybe you’ll like it too. I create the text part of the label on the computer or by drawing it with permanent fabric markers. Either way, follow the manufacturer’s instructions to make the text permanent. Happy mail arrived this week! 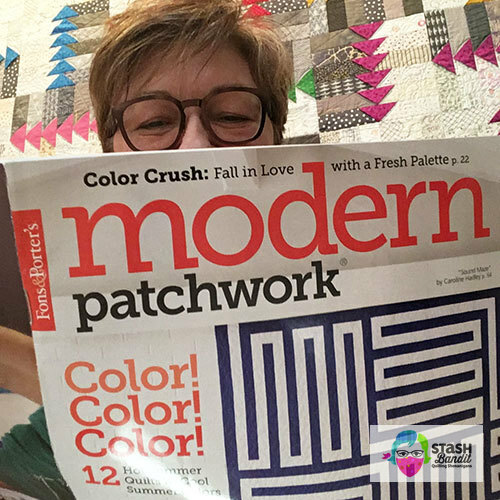 The newest Modern Patchwork, in which I have a quilt. I’m really pleased to be included. It’s my first time in Modern Patchwork. You’ll find the July/August issue on newsstands by Tuesday, June 26. To tell you about my quilt, I have to back way up.